A horse is a big investment, not only in money but also in time. Horses can live up to 20 years, which makes them a long-term commitment that cannot be neglected at any point. Below are some points to consider and horse advice to help you make your decision. Ensure you have the horse’s accommodation sorted out. There are many types of boarding facility and unlike house pets, horses have very particular needs. This isn’t an area you can skimp on and if you find the ongoing costs of boarding a horse prohibitive, it might be time to reconsider buying. Do you want a horse or a pony? This choice comes down to your age, size and experience. A pony is essentially a small horse and some conventions state that it is a horse that is less than 147cm at the withers. They can be a good choice for children and shorter adults, making mounting and dismounting easier. As with every aspect of the purchase, try a few horses and ponies before deciding. An older horse vs a young oneAn experienced horse will already understand the ropes of carrying a rider and will make it easier for a novice to get started and can participates in horse racing events. If you are an experienced equestrian, you might relish the challenge of teaching a youngster and developing their skills and personality. Your own level of expertise should be the deciding factor on which one to choose, not the horse’s colour or breed. Is breed an important consideration? 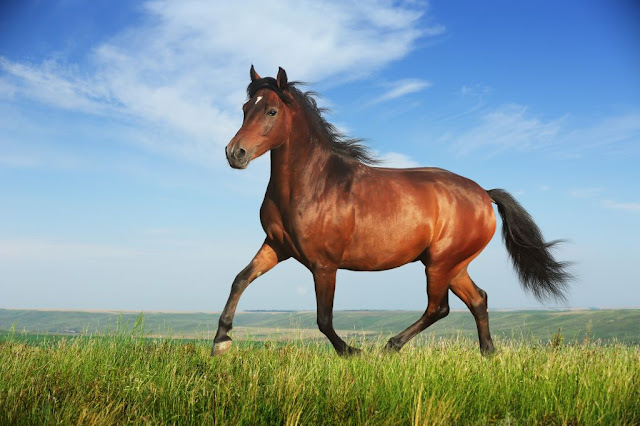 Generally, a horse’s breed isn’t a major factor as they are incredibly adaptable animals. However, some breeds are more suited to certain jobs. Horses such as the English native pony and the American Quarter horse are very versatile, while a Tennessee Walker is more adept to trail walking and are considered comfortable with great stamina. Your search for a horse should take you a long time. A horse is a huge investment and buying the first one you see is a recipe for disaster. Visit stables and auctions, discuss what you are looking for with Barn Managers and gain as much advice and insight as possible. If you are looking for a competition horse, then head to the horse shows and you will be able to see prospective horses in action. Get a riding instructor and take a few lessons. Even an experienced rider will find this beneficial as an instructor will be able to offer some tips about the type of horse your riding style and expertise would suit. They might even know of horses for sale from other clients they have. Regardless of whether you are a novice or an experienced horse rider and owner, it is important to take your time choosing an animal. It might take months of phone calls and looking at horses of all sizes to find the one that suits you, but the time taken will pay off in the end and ensure you will develop a more satisfying relationship with your horse. Previous Previous post: Opt For A Cosmetic Clinic That Cares!